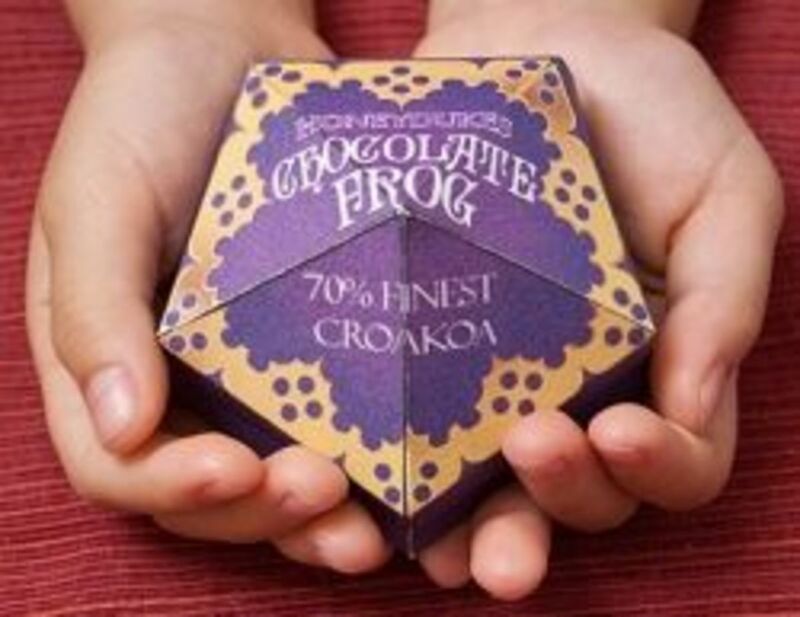 Buy Harry Potter's Chocolate Frogs Or Make Your Own! Chocolate Frogs! Chocolate Frogs! Get Your Chocolate Frogs Here! Ever since the first mention of the Chocolate Frog In Harry Potter and the Philosopher's Stone in 1997, I have wanted a Chocolate Frog. I have wanted to make one (or a dozen) or even buy one but, 15 years later, I still have not done so. Therefore, I thought I'd create a page dedicated to the Chocolate Frog. Hopefully, one way or another, it will help me obtain my first ever Chocolate Frog. On this page then you will find information about Harry Potter's Chocolate Frog including a bit about the history of the frog in terms of the Harry Potter books, resources for making your own Chocolate Frogs and, in case you are like me and just cannot seem to get around to it, I'll even share a place where you can BUY your Chocolate Frog. Click here to order Harry Potter's Chocolate Frog from Amazon. What Is The Significance Of The Chocolate Frog to Harry Potter? 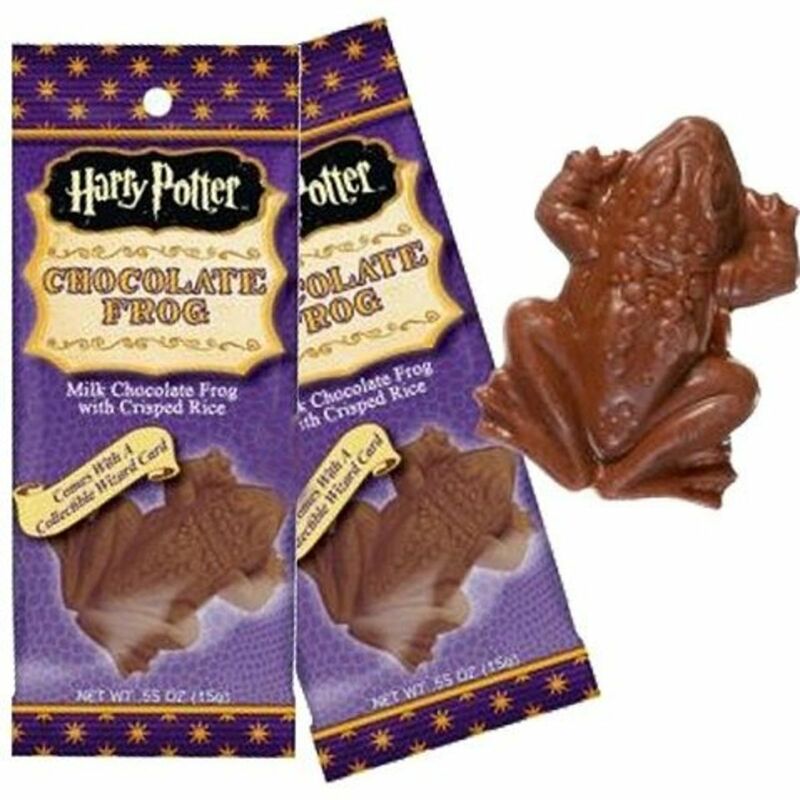 In the wizarding world, Chocolate Frogs are a very popular candy treat that is sold with collectible cards that feature images of well known wizards and witches. These cards are collected and traded amongst the pupils at Hogwarts School. Reportedly, the frogs are manufactured from 70 percent Croakoa, an ingredient that allows them to actually behave like a frog. We are fortunate in that Chocolate Frogs are available to us mere Muggles, too. During their first year at Hogwarts, Hermione Granger gave Harry a large box of chocolate frogs. Harry was given another box of Chocolate Frogs by Hagrid in his fourth year at Hogwarts. Ronald Weasley was the recipient of Chocolate Frogs when he was in the hospital after the Battle of the Department of Mysteries during their fifth year at Hogwarts. Harry Potter, Ron Weasley, and Hermione Granger eventually were featured on the cards in Chocolate Frogs because of their efforts in defeating Lord Voldemort. Being placed on a card was one of Ron Weasley's proudest moments. I love how the blogger at Fictional Food shares an extremely easy, step-by-step recipe and even includes instructions on how to make a box. I agree with Fictional Food that they would be great party favours and I also think they would make great gifts or stocking stuffers for Harry Potter fans. 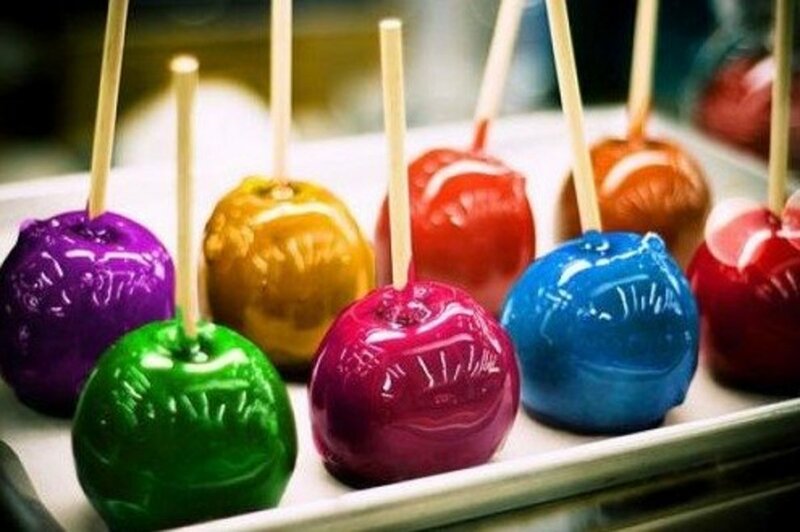 As the writer says, "You don't have to empty out your vault in Gringott's to make these Chocolate Frogs." The Chocolate Frog recipe that blogger Ezra Pound Cake shares with the world is a peanut butter Chocolate Frog and it sounds pretty amazing, too. I agree with her when she says that the world needs more wonderful and weird things...like Chocolate Frogs. 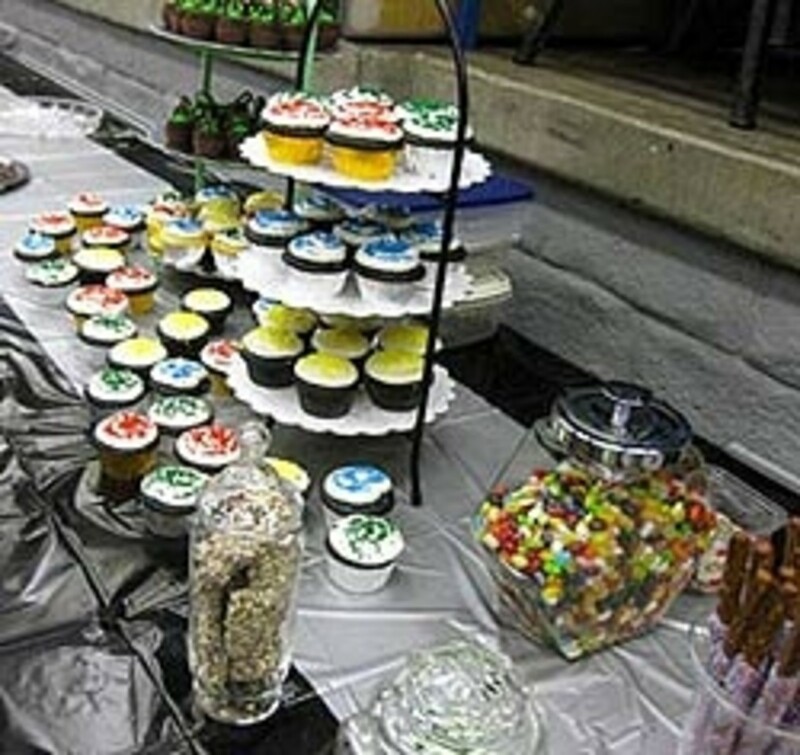 Find Rosmerta's Recipes - Peanut Butter Chocolate Frogs on Mugglenet.com. Apparently, Hermione highly recommends using chocolate that is meant for melting (and not chocolate chips) because it holds up better at room temperature. This recipe for accidental for cream Peppermint Toads sounds delicious. Ghirardelli Chocolate Logo Tube with Milk Chocolate Wafers, 31 oz. I don't know why I have waited so long to make Chocolate Frogs. Maybe it was because I thought it was going to be hard or complicated but, judging by the recipes I have visited here today, it is not. The recipes are extremely easy and the only equipment you need is a Chocolate Frog mold, a squeeze bottle and melting chocolate. I thought the squeeze bottle was a particularly brilliant idea because I was picturing myself painstakingly spooning the chocolate into the little forms in the mold...and making a mess at the same time. I've chosen to share Ghiradelli chocolate here because I figure these Chocolate Frogs are only going to be as good as the chocolate you use to make them...obviously, I cannot guarantee that this is the best chocolate for melting (since I've never made my own frogs) but the Amazon reviewers are enthusiastic about the chocolate and one used it to make chocolate covered pretzels. Ghiradelli's website says you can use their chocolate. They say not to add any water, milk or butter and to spoon it into your candy mold and refrigerate it for two hours.If you are unable to pick these items up locally or prefer the ease of shopping on Amazon and having your order delivered to your front door in a couple of days, you can take comfort that the prices on Amazon are definitely good on these items and remember that shipping is FREE if your order is worth $25 or more. Just add Pop Rocks, the Secret Ingredient. Here is a Chocolate Frog recipe twist that I was not expecting: Exploding Chocolate Frogs. 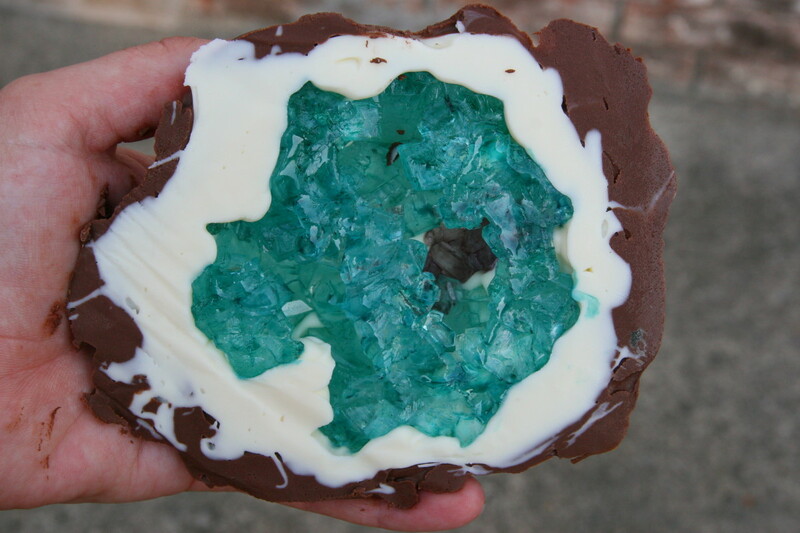 There are a number of recipes that, through the addition of Poprocks candy, turn a simple ordinary Chocolate Frog into an Exploding Chocolate Frog. If you are looking for a bit of excitement, you might try this angle. Fortunately for those of us who live in the Muggle world, Chocolate Frogs are readily available online. Buy Harry Potter's Chocolate Frogs - On Amazon. Consider the season when you order Harry Potter Chocolate Frogs online...I'm not sure that they will hold up well to sitting for hours in your mailbox when it is the middle of summer. I know they would not hold up well in mine. Which Chocolate Frog Would You Prefer? Plain old CHOCOLATE FROG for me, please. Yes, you can make your own Butterbeer. The internet abounds with great recipes and I have gathered some of the best Butterbeer recipe resources together here for you on this page. If you're a true Harry Potter fan, you will want to find a homemade Butterbeer recipe that suits you. The year was 2000, my son was seven years old and a huge Harry Potter fan. He had read and reread the books published to date. 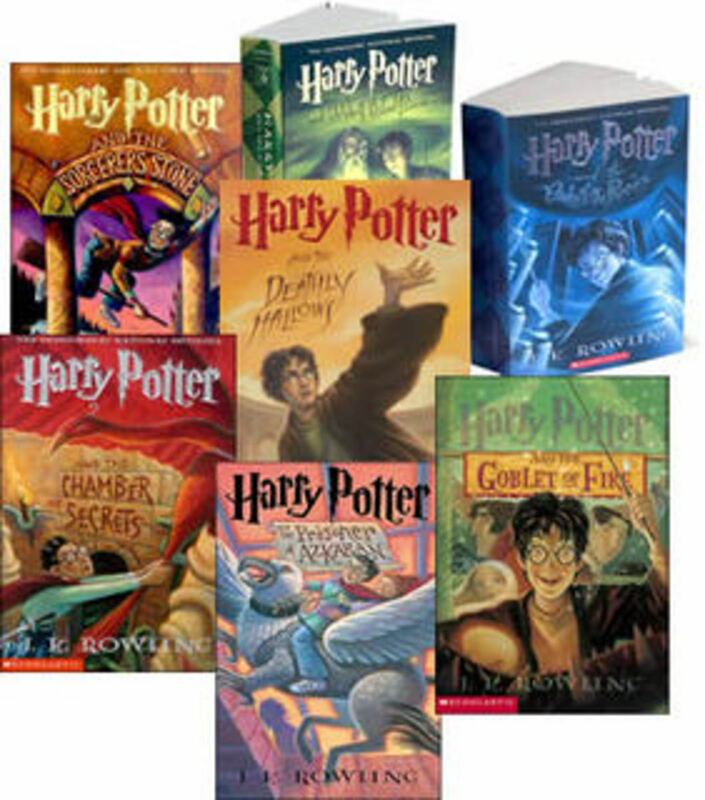 As a matter of fact, we had all read and reread the books. The books had even travelled with us as we moved across Canada.. 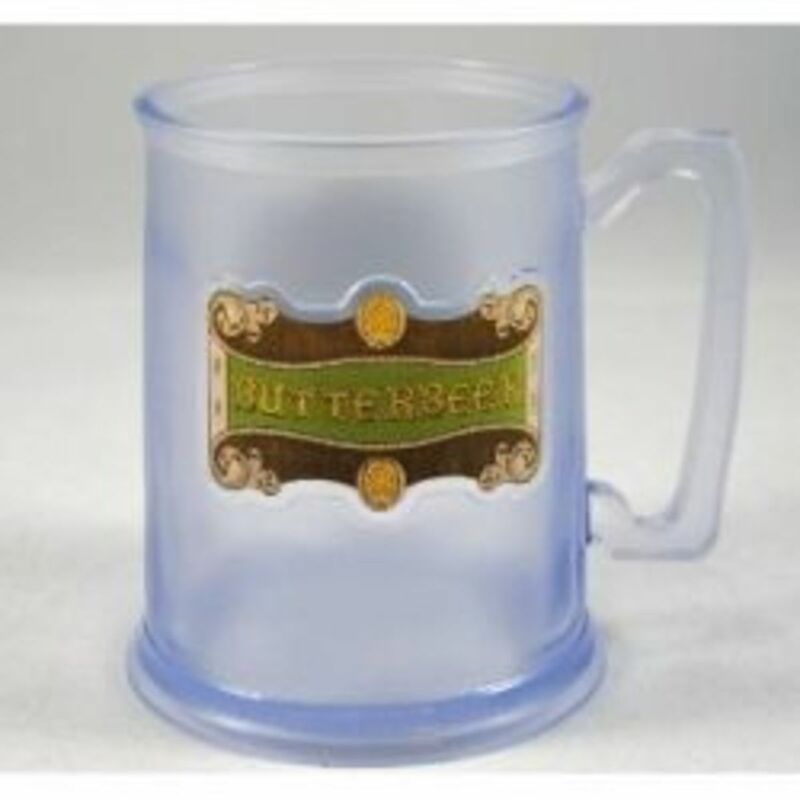 Whether you have had the chance to visit The Wizarding World of Harry Potter and missed the opportunity to buy a Harry Potter stein or you want to have a complete set or, like me, you have NOT had the opportunity to visit that amazing theme park in..
Any Harry Potter fan would love any of the Harry Potter gift ideas gathered together here on this page! Would you like to try a Chocolate Frog? Absolutely! I couldn't get the mould in time for my son's birthday party this year but I guess this just gives us an excuse to have another Harry Potter party! 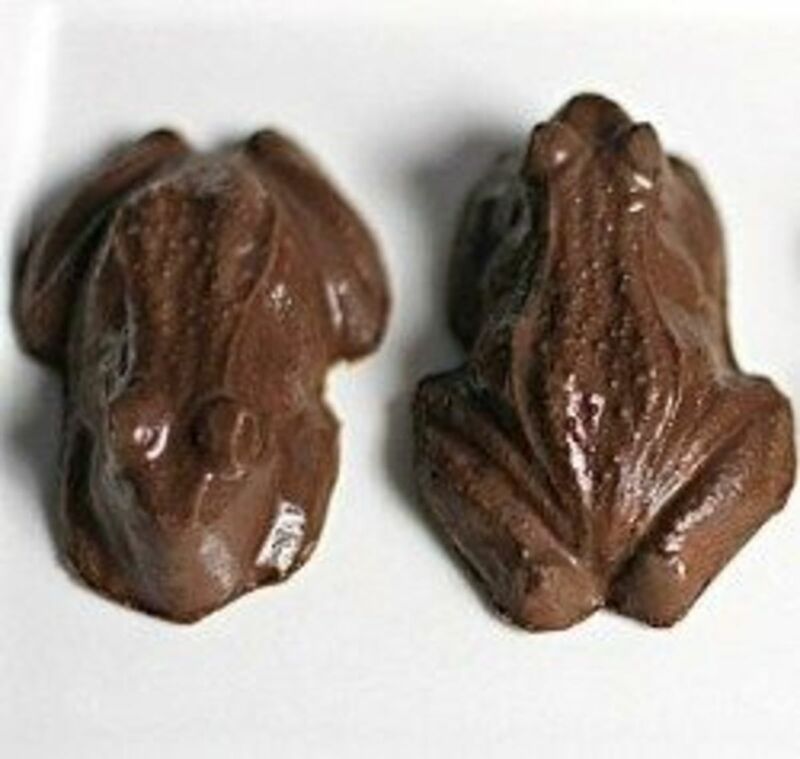 These chocolate frogs look delicious! Very awesome lens! My family and I are major Harry Potter fans....thanks for sharing all of this great information....now I will have it all in one place! Very cool. I really like those molds. Awesome lens! Awesome lens - I love chocolate frogs! Blessed by a SquidAngel! Sure would - actually I'd like to try more than one! especially after reading this lens! I think I could probably eat my share of chocolate frogs, but what a super gift for Harry Potter fans! What great ideas for those who might want to make chocolate frogs. Love the recipes!